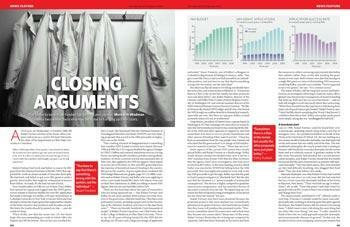 The battle to keep a lab funded can be long and painful. Meredith Wadman meets two researchers who may be close to hanging up their coats. The economic stimulus package currently working its way through Congress is likely to inject billions of dollars into the budgets of the scientific agencies, which will no doubt be welcome to researchers. But without careful planning and sustained follow-up funding, that sudden infusion of money could end up worsening the career crisis rather then easing it.